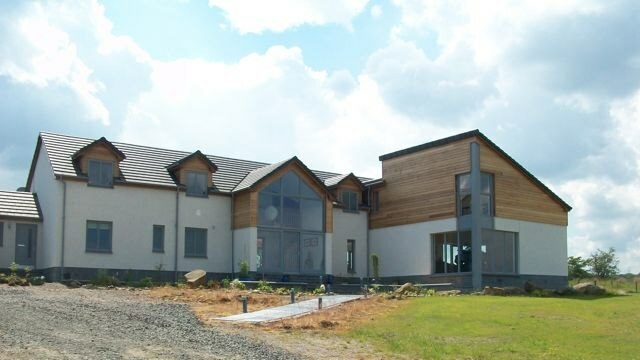 Located on the outskirts of West Calder lies the West Mains Lowland Crofting development. 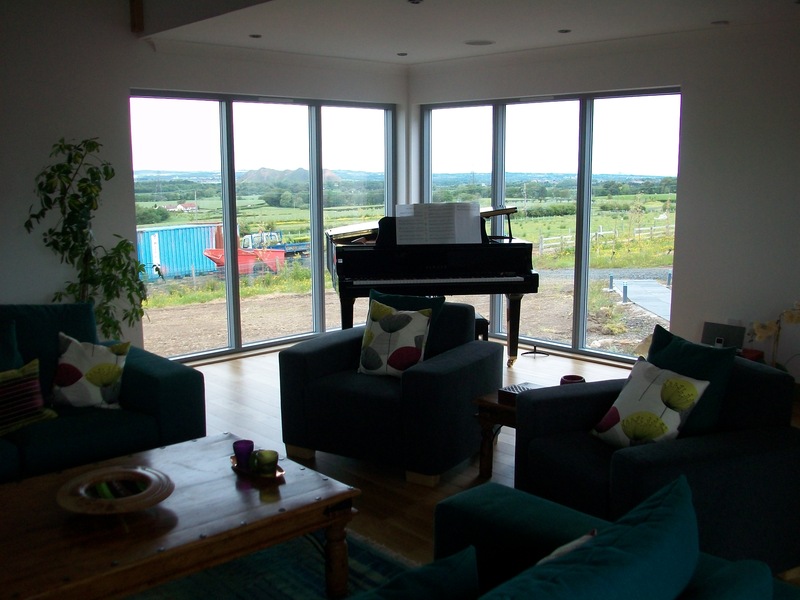 The house takes on the traditional form of a crofting house but with contemporary twists maximising views and solar gains. 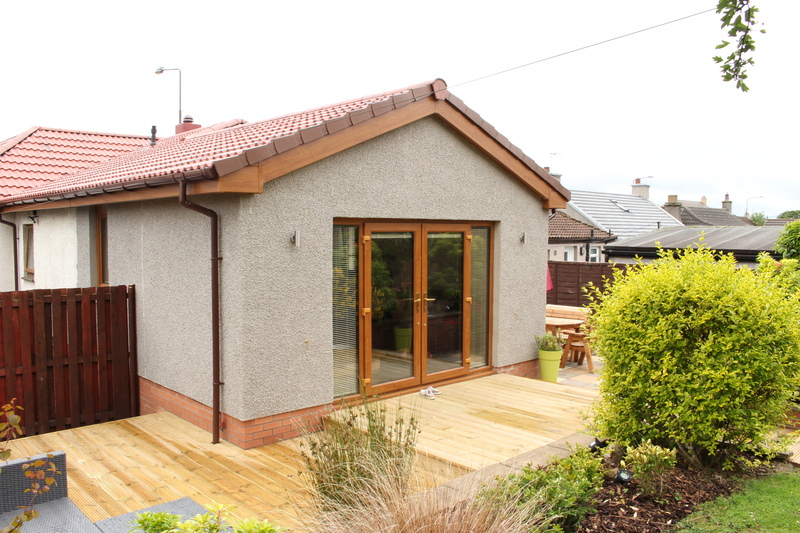 Material choices were kept minimal and high quality; with a traditional rendered wall, timber cladding detailing, high performance aluminium clad timber framed windows and traditional black tile roof. 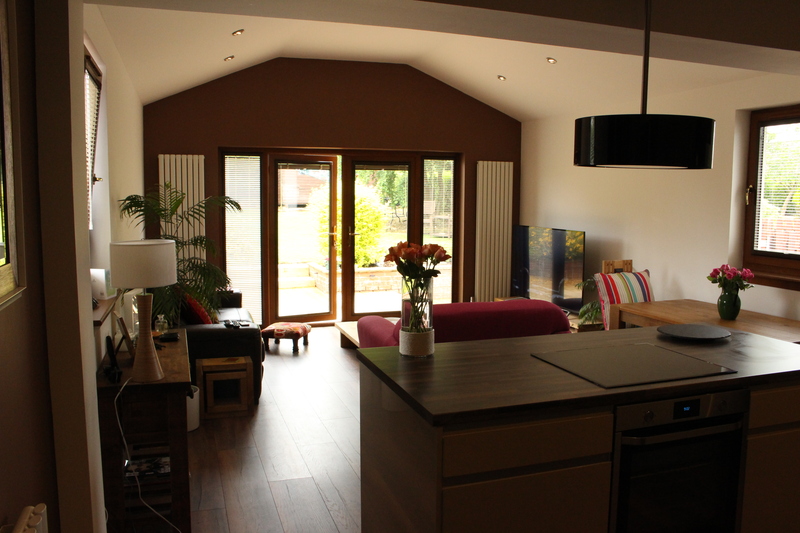 The existing house was lacking in living space with a small kitchen to which the clients wanted to open up to form a more connected living/ kitchen area linking to the rear garden. 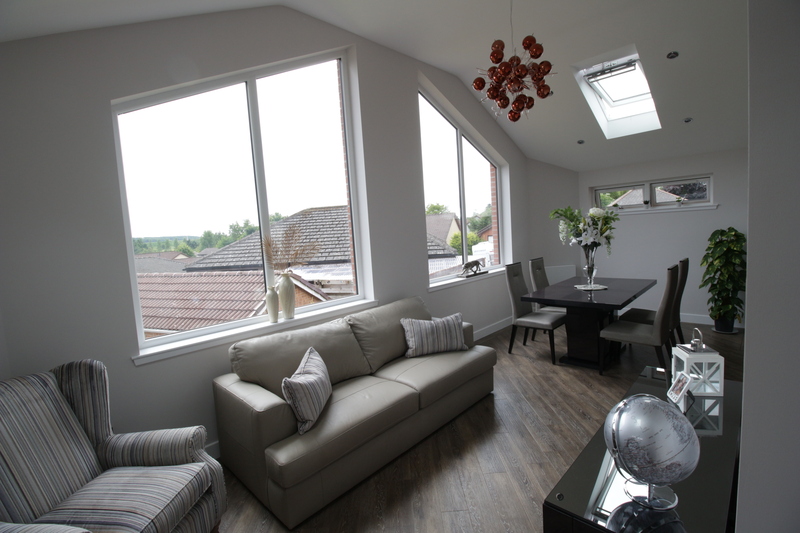 The property was extended to the rear which married into the existing extension. 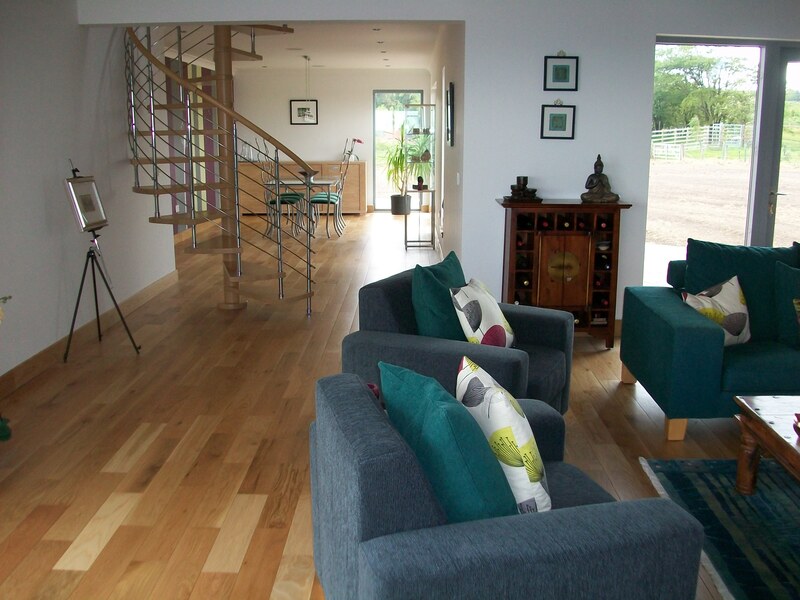 Within the space, and general reconfiguration of the layout, an open plan Living, Dining and Kitchen area now link to the tiered garden which catches the evening setting sun. 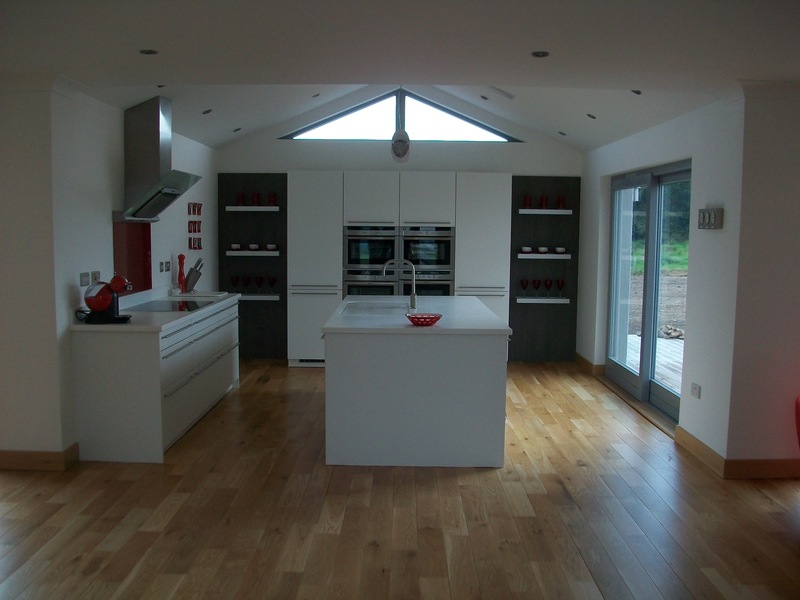 Part of the existing Kitchen now also houses a Utility room which was an additional feature within the design. 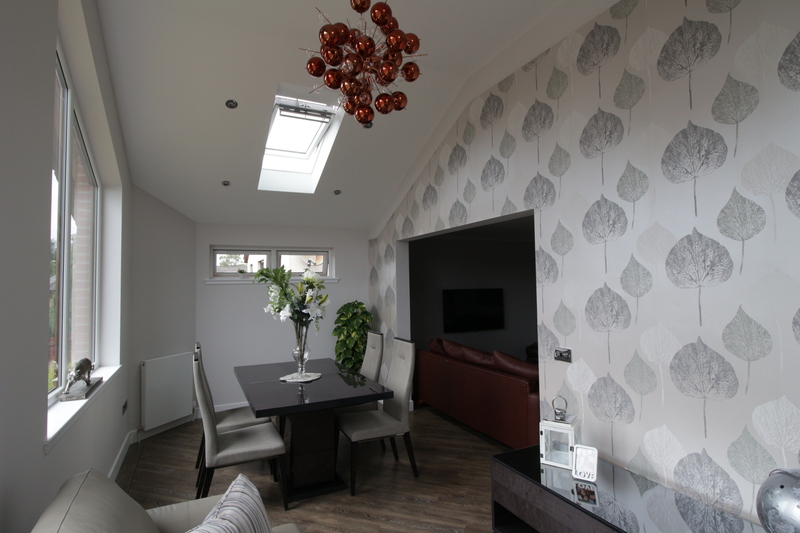 An unusable conservatory, being too hot in the summer weather and too cold in the winter months, was down taken and the walls were built up with a sold roof installed to create an all year round sun room. 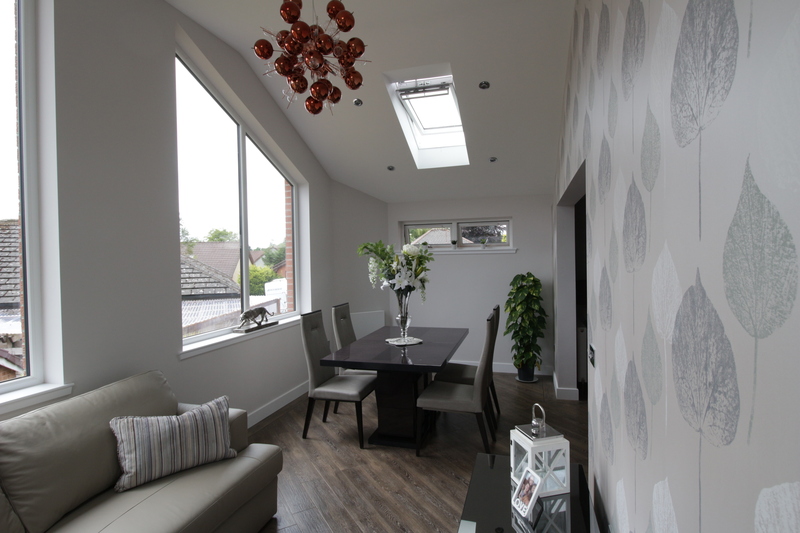 Feature gable windows with clear storey side window and roof lights created a comfortable bright and airy interior whilst maintaining a degree of privacy to the neighbours. 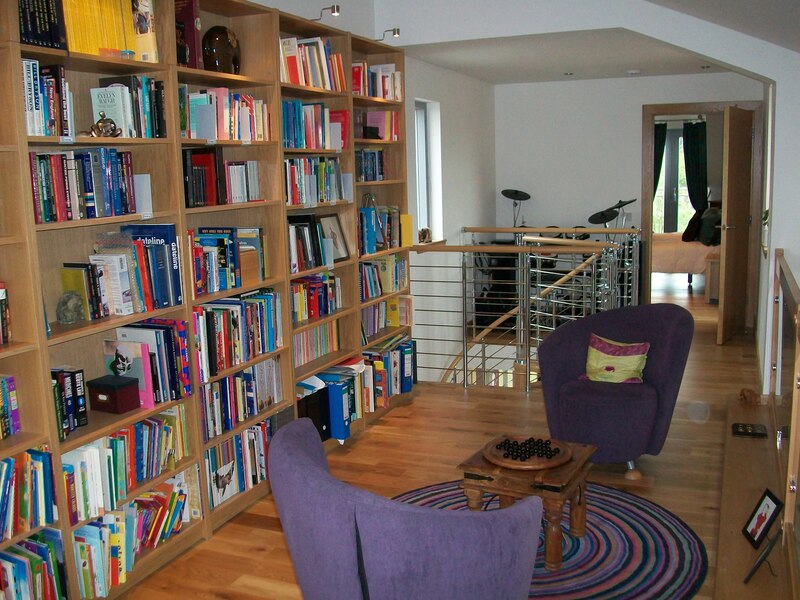 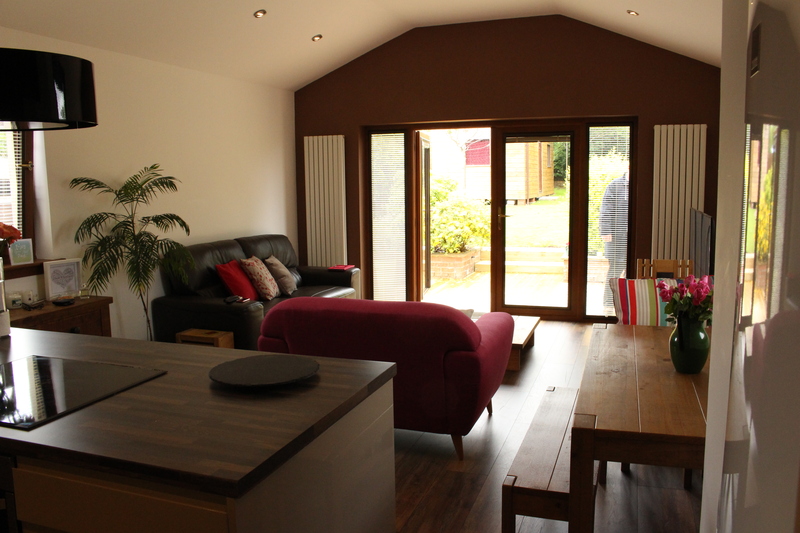 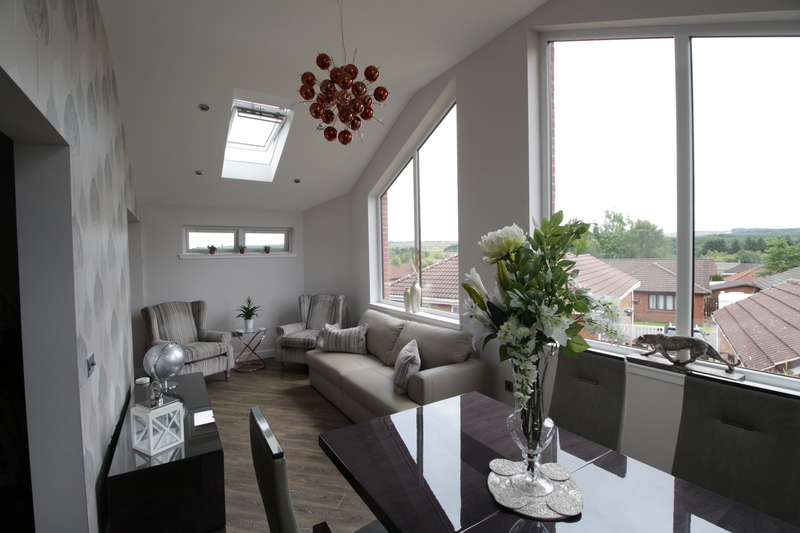 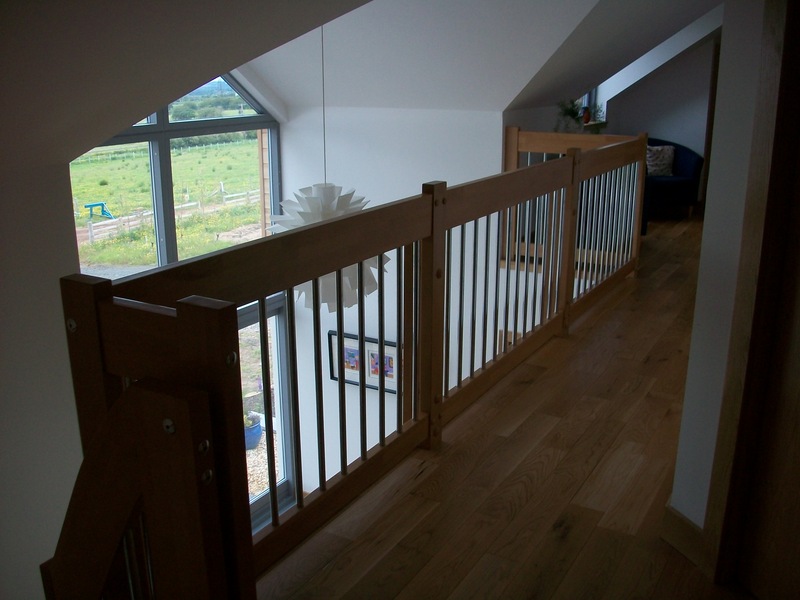 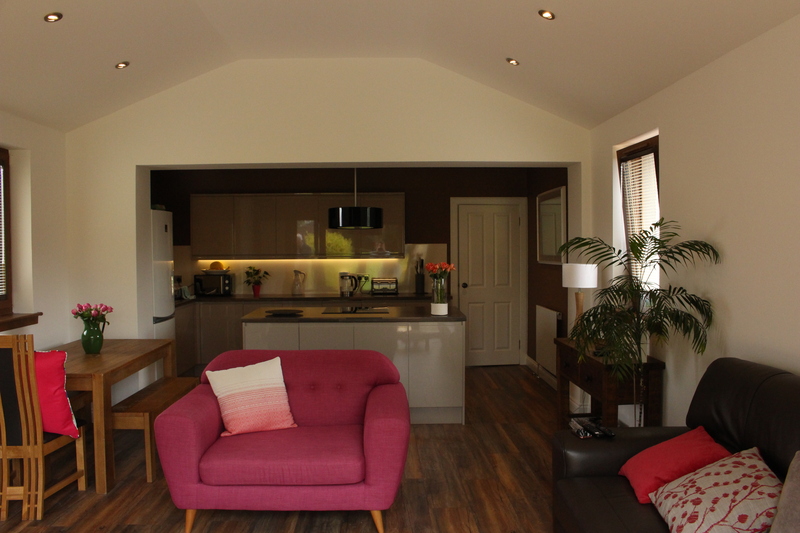 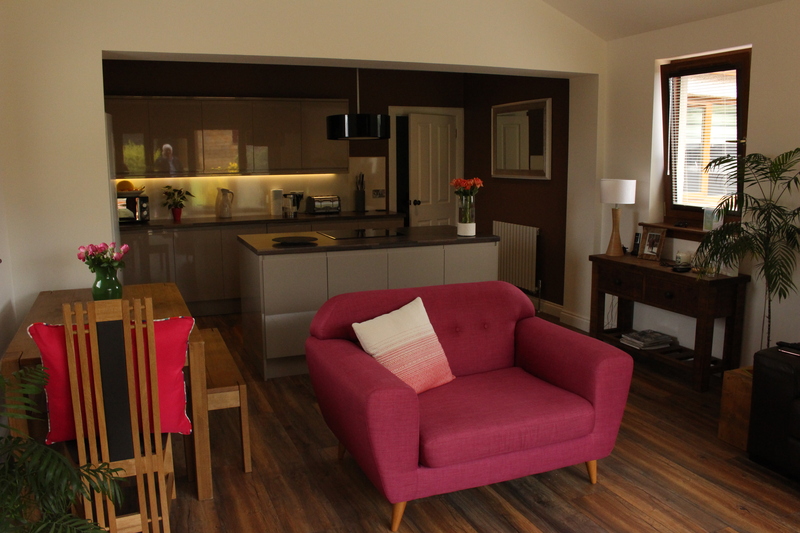 The new sun room was opened up to the existing kitchen and lounge which now creates an open plan living area.